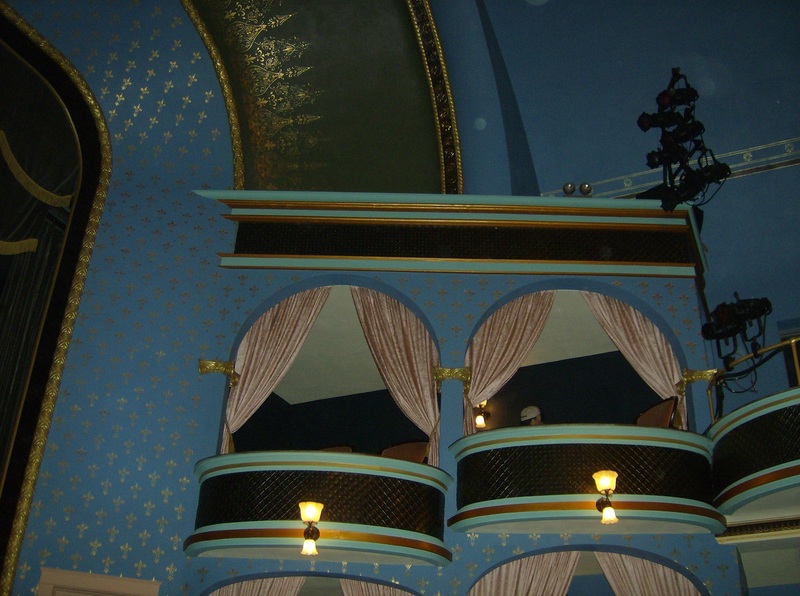 Stoughton Opera House interior. Photo by Holly Tierney-Bedord. All rights reserved. 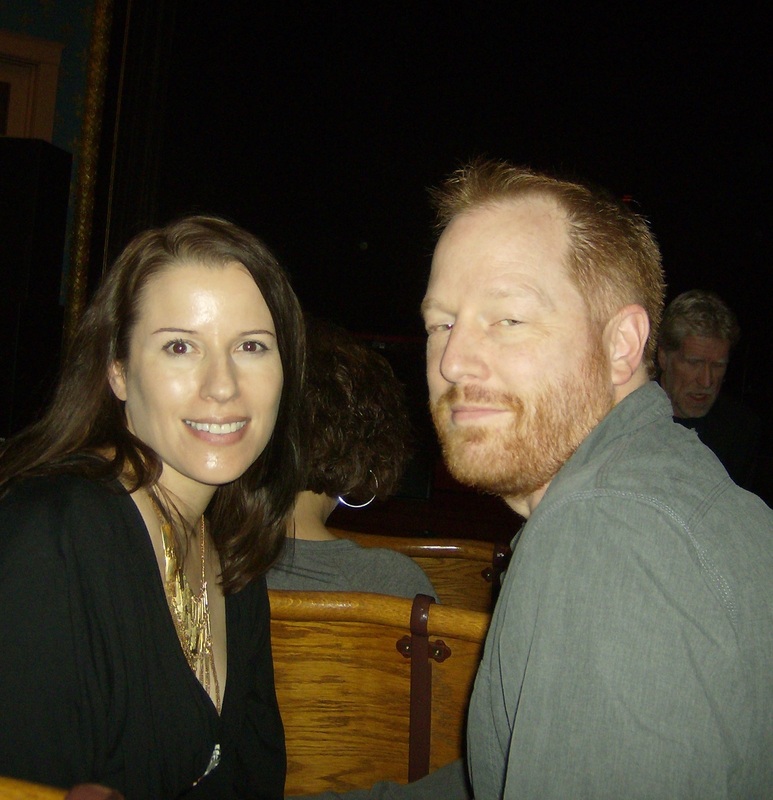 The Stoughton Opera House has beautiful old wooden seats. We were given little cushions to place on the seats, to make them more comfortable during the concert. It was amusing to see all the “regulars” showing up with cushions from their kitchen chairs. Probably a third of the crowd had cushions from home. Ruston Kelly opened the show. I was familiar with this music, but we ended up really enjoying him. His songs reminded me of songs by artists like Ryan Adams, Counting Crows, and The Wallflowers. He played about half a dozen songs and then stepped down. 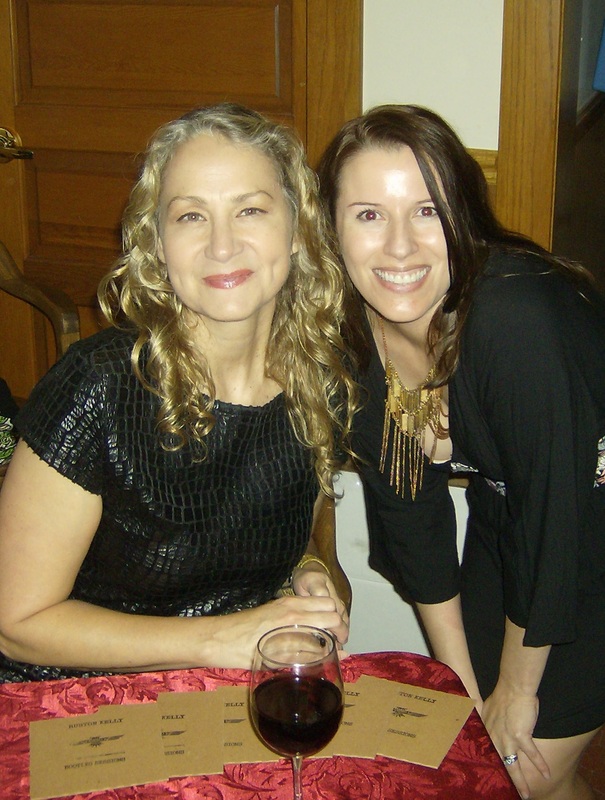 After a brief break, Joan Osborne and her keyboardist Keith Cotton casually strolled up on stage, (she was carrying a cup of tea, in case you’re one of those people who likes every little detail) and launched right into a song from her new album Love and Hate. It was just the two of them, and the entire evening was more like witnessing two friends having a jam session than being at a regular concert. She used her iPod and a $3.99 beatbox app for background rhythms, and the whole evening had a very impromptu, casual feeling to it. It was really an amazing experience. 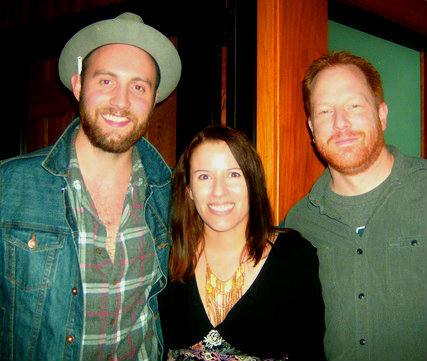 At the end of the night, she and Ruston Kelly were selling CDs and signing autographs. We were lucky enough to meet them and get our pictures taken. You can tell that I was pretty starstruck and happy. Very enjoyable evening and I have to say not my style of music but incredibly talented musicians and great stage presence.